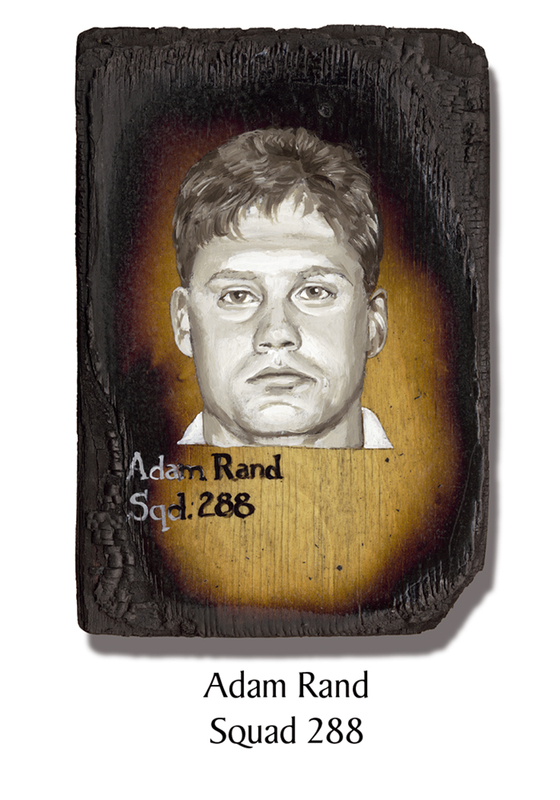 Adam Rand, 30, grew up wanting to be a firefighter, and joined the FDNY in 1995. Rand was a volunteer firefighter in Bellmore, Long Island, in charge of training. Fighting fires was his calling. On August 25th, he had become engaged to his longtime girlfriend, with plans to be married in January. His remains were found on December 7th. This entry was posted in Better Angels Stories and tagged 343, 9/11, Adam Rand, better angels, Dawn Siebel, FDNY, firefighter, firefighters, firefighters of 9/11, LODD, Manhattan, memorial, NFFF, paintings, portraits, Squad Co. 288, World Trade Center, WTC. Bookmark the permalink.